Brent Colbry (http://www.msad54.org/central-office-staff) is currently serving as superintendent of MSAD 54 where he is completing his 15th year. Prior to SAD 54, he was superintendent of schools at Millinocket for nine years and superintendent of schools in Milford for three years. 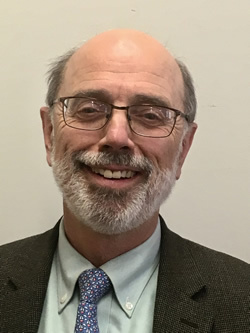 Brent has also served as assistant superintendent of schools, assistant director of Southern Penobscot Vocational Region #4, director of special education and started his tenure in education as a special education and grade 8 teacher in Lincoln, Maine. In the past 15 years, Brent has ushered SAD 54 through some tremendously challenging times. Under his leadership and through open communication, SAD 54 has consolidated eight elementary schools into five, growing and expanding a school lunch program (which is now touted as a model program across the state), managing the effect of local economic changes, such as the closing of a mill and the installation of bio mass boiler, which resulted in a significant savings. With a constant focus on his students needs, Brent also extended kindergarten from a half-day program to an all-day program, introduced pre-K in all elementary schools and partnered with KVCAP to start a 0-3 year-old-program for students in SAD 54. Brent’s leadership skills resulted in increased programming and services for students, while reducing spending by 1 million dollars. Brent is a graduate of Foxcroft Academy. He earned his certificate of advance graduate studies and an M.S. degree in educational administration from the University of Maine, Orono and received a B.S. degree in elementary and special education from University of Maine, Farmington. Demonstrated success in district consolidation. Commitment to sustain the educational program while facing significant economic pressures. Commitment to early childhood education programs. William Webster Jr., known to all of us as Bill (https://www.lewistonpublicschools.org/administration-ad74f499) is currently serving as superintendent of schools in Lewiston. 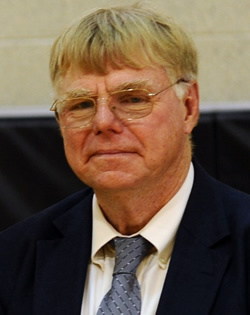 Prior to this position, Bill served as superintendent for RSU 24, and School Union 96. Bill started his career as a school administrator and middle school math and science teacher at the Maine Coast Waldorf School. In Bill’s “other life” prior to education, he owned and served as Haven’s Candies chief executive officer, was a controller for Hannaford Brothers and worked as a senior financial analyst and senior accountant in the Boston area. As the superintendent in Lewiston for the past seven years, Bill has led his district through significant changes in the educational landscape covering proficiency-based learning and educator effectiveness. When he realized that there were too many children not ready for kindergarten, he expanded Pre-K programs to provide universal Pre-K in Lewiston. Under his leadership, Bill also created a variety of alternative education programs, including Maine’s only school for suspended or expelled students and the Star Academy; increased in district programming for students with disabilities including autism and emotional needs; supported the behavioral needs of his students by advocating for programming; and through incorporating restorative practices leading to a significant decrease in suspensions. To address succession planning, Bill created a leadership development program for teachers and administrators, encouraging the growth of school leaders and has been a leader in the state using social media to communicate about district happenings to over 6000 viewers. Bill has a CAS in educational leadership from the University Maine, Orono. He also earned a master’s degree in education from Antioch University, an MBA from Wharton Graduate and a B.A. degree from Bowdoin College. Committed to strong academic performance. Demonstrated commitment to alternative education students. Employed social media to engage the community in school operations.